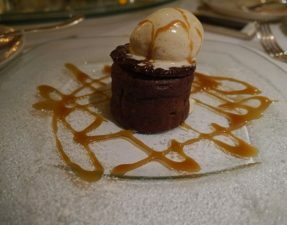 Last Sunday I was kindly invited, by Joe Blogs, to the Millennium hotel in Knightsbridge for some afternoon tea at their in-house restaurant, Le Chinois. But this was afternoon tea with a twist, well an oriental twist to be precise – it was Chinese afternoon tea! A very different yet tasty concept that has arrived in London and is slowly beginning to gain popularity amongst a few Londoners. The Millennium Hotel hosted this special afternoon tea for up to 30 bloggers. Entering through the pretty hotel lobby, we were guided to follow the spiral staircase upstairs to a bar area, grabbed our name cards and mingled! After having a couple of drinks (non-alcoholic for me!) at the bar with the other attendees, we were then called for tea at the private section of the restaurant. Platters of food starting arriving down on the table and in typical blogging fashion, cameras or phones were pulled out, and all you could hear was snap snap snap. I have to say it felt good not being the only diner at the restaurant taking 500 photos on their camera, for once. But this meant that the food was a little cold by the time it came to our end of table – not a huge issue as I’m sure when it is served normally, it is piping hot! Wasabi prawns are a must order at any Chinese restaurant. Why? Well, it usually consists of huge, plump prawns that have been deep fried so that it has a crispy outside and then doused in a thick wasabi sauce. 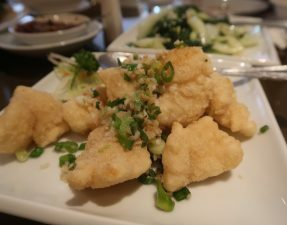 Le Chinois offers their version with a topping of red fish roe to provide that extra crunch. 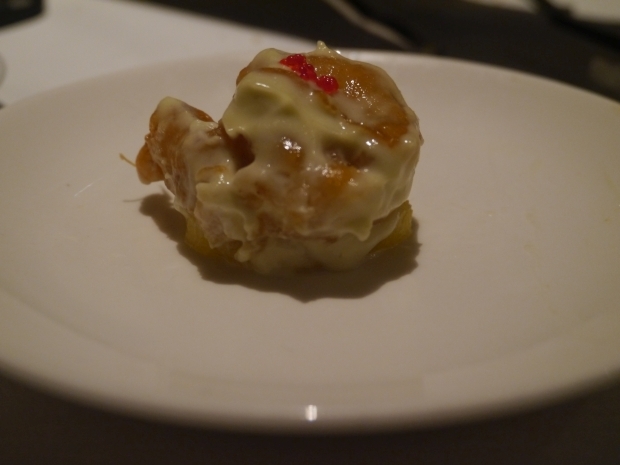 The wasabi sauce, as usual, provided a strong kick to the prawns and was deliciously creamy. 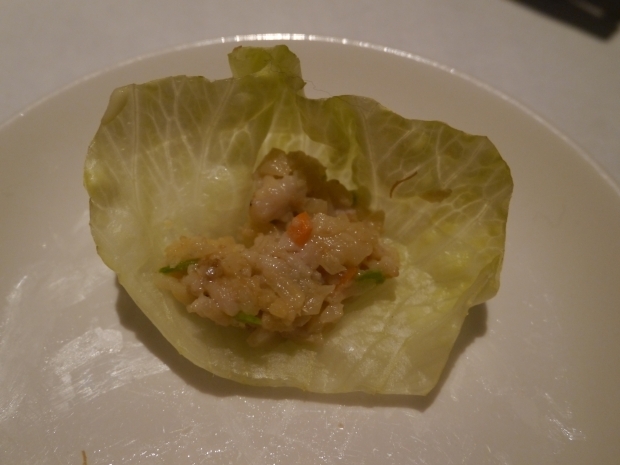 A cute green lettuce leaf, with a dollop of the minced chicken and vegetable mixture. Although tasting good, they were nothing out of the ordinary. A shot glass arrived filled with little fried chicken strips. These had been dipped in batter and thoroughly deep fried so that the chicken had become extra crunchy and there was a delicious underlying meaty taste to each stick. Perfect for dunking into the sweet chilli sauce. 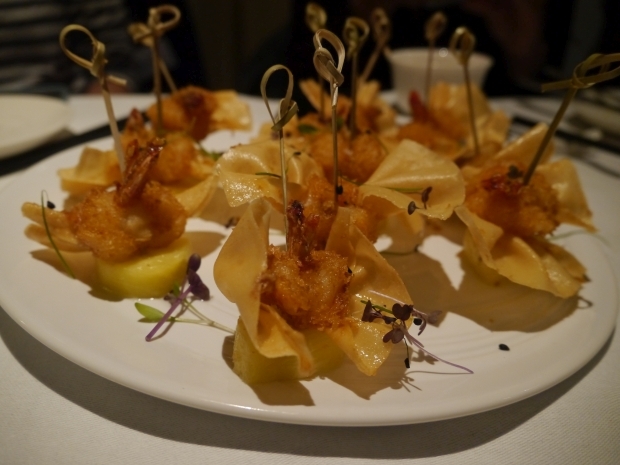 Served on top of a slice of sweet pineapple, the fried prawn sat with crispy pastry “wings”. It was served with edible flowers scattered over the top and although the menu stating that there was a passion fruit coulis alongside it, there was no coulis to be found. 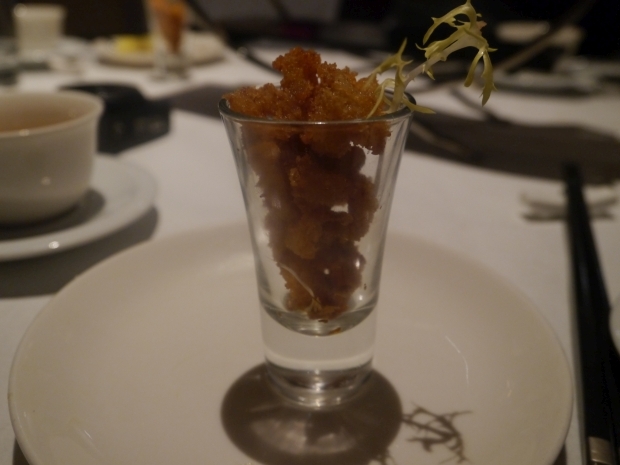 The prawn was sweet with a yummy crunchy outside layer. A take on the usual sweet end to the tea, two different flavoured mochi cakes were served with a slice of mango on the side. 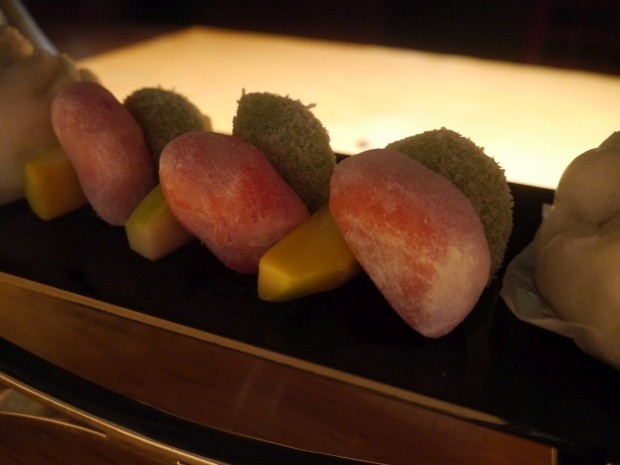 Mochi is a traditional Japanese rice cake that consists of a glutinous rice filling. One of the cakes, the green one, was filled with a coconut filling and had dessicated coconut shreds on the outside – this was a really tasty combination. Sadly I wasn’t a fan of the red mochi cake, there was no convincing flavour to these and certainly not the sweet finish I was expecting. The mango was a little too ripe and could have been sweeter. From what I’ve gathered on instagram, there was another dish that consisted of delicious looking beef sticks however the plate was not passed down our side of the table and I was unable to try it out. At least it is something to look out for next time! 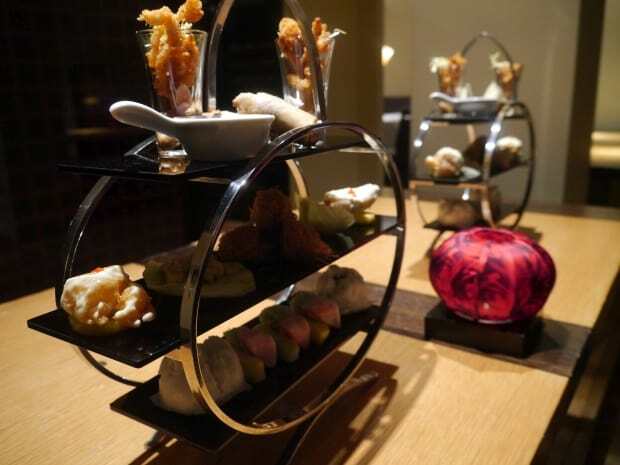 If you were to visit, the Chinese afternoon tea will cost up to £25 per person which in my opinion is a decent price for both the location and the quality of the food served – its a lot cheaper than other afternoon tea options in central. 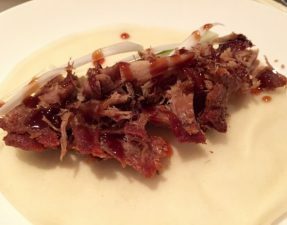 Le Chinois also cater to private dining for parties up to 12, and if you are really popular, they offer a dining option for up to 22 people too. Please be aware that the duck is not halal (I asked one of the hosts, Cipriani, about this but finding a supplier is difficult at the moment) and pork is present on the menu but this can be removed and substituted by request. Aaaand before the whole debate about cross contamination in the kitchen starts, I thought I would make clear that the halal meats are cooked separately from the non-halal food in a completely different kitchen! Disclaimer: I was invited to dine here and you can search #toastofthetown for more food yumminess from the afternoon! Such a lovely post, everything looks scrumptious as always – good to hear about them using different kitchens, how thoughtful!